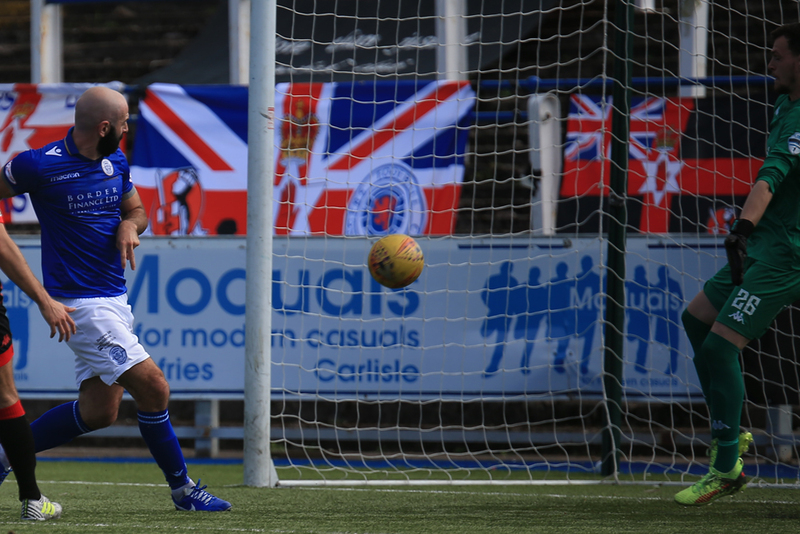 Queens progressed to the 3rd round of this seasons IrnBru Cup competition after beating visitors Crusaders in a game that started exceptionally well, but ultimately turned out to be a less than comfortable afternoon for the home side. The final score of 4-3 looked to be a million miles away after a devastating 9-minute spell midway through the first half saw Queens move into a four-goal lead, but the second period was a completely different story as the Northern Irish side - aided by some inept defending by Queens - fought their way back into the tie and very nearly produced what would have been a remarkable comeback. 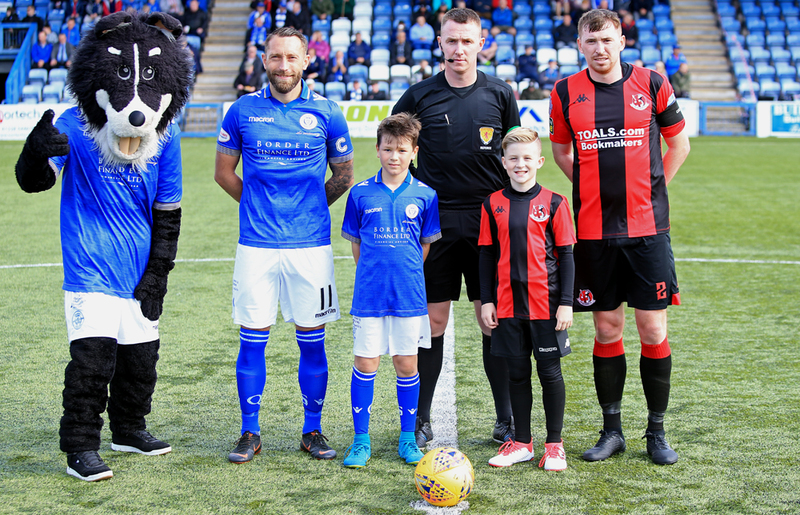 Queens named the same team that started the game against Ayr last time out, and new loan signings, Adam Frizzell, and David Norman, both found places on the bench. The visitors were first to show and it took an excellent double save from Alan Martin to prevent Crusaders from taking an early lead after Kyle Jacobs was caught in possession. Queens began in a slow, ponderous fashion and struggled to find any rhythm to their play and their initial forays forward often ended with possession being either lost, or given away. 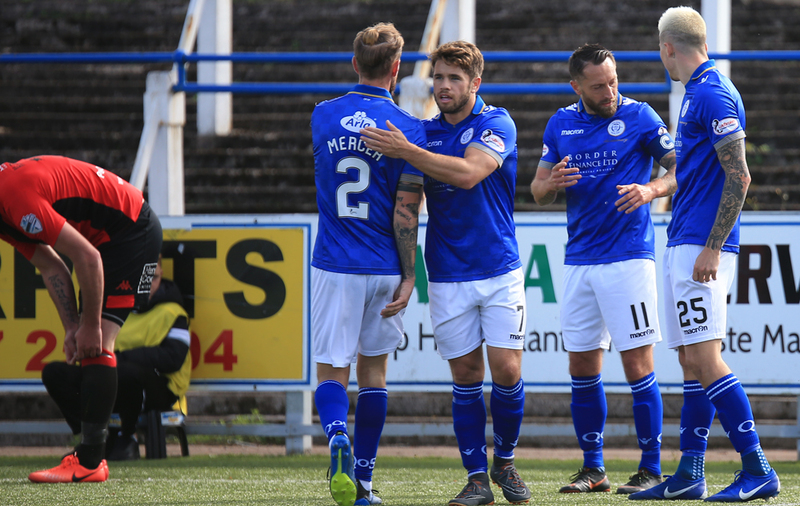 A change of formation to 4-2-3-1 seemed to be the catalyst for an improvement in Queens` fortunes, and after a forward run from Andy Stirling led to a free-kick, Queens produced their first effort on goal when Stephen Dobbie`s low shot was blocked for a corner. That corner -taken short - yielded another corner and when Lyndon Dykes collected the loose ball, he forced Crusaders `keeper Doherty to make a routine save. As Queens began to have more of the ball, and their passing began to improve, the increased pressure paid off when the home side opened the scoring. 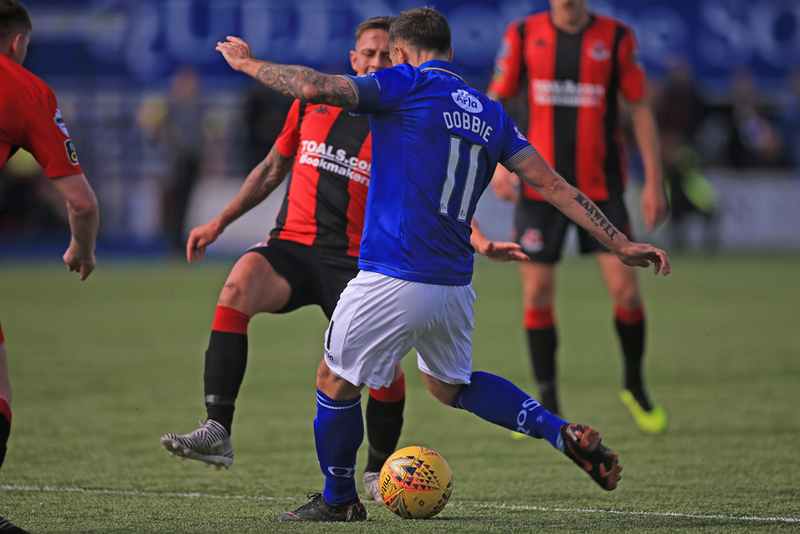 Callum Semple`s long ball picked out the run of Lyndon Dykes and as `keeper Doherty raced from his line, Dykes slipped past him before pulling the ball back into the path of Stephen Dobbie who steered the ball home between defender and post. That goal came on 22 minutes, and the next few minutes of the game proved to be pivotal. A good response from the visitors saw them launch a quick break that ended with Heatley crashing a super effort off the post, and then with their very next forward move, Queens doubled their lead. 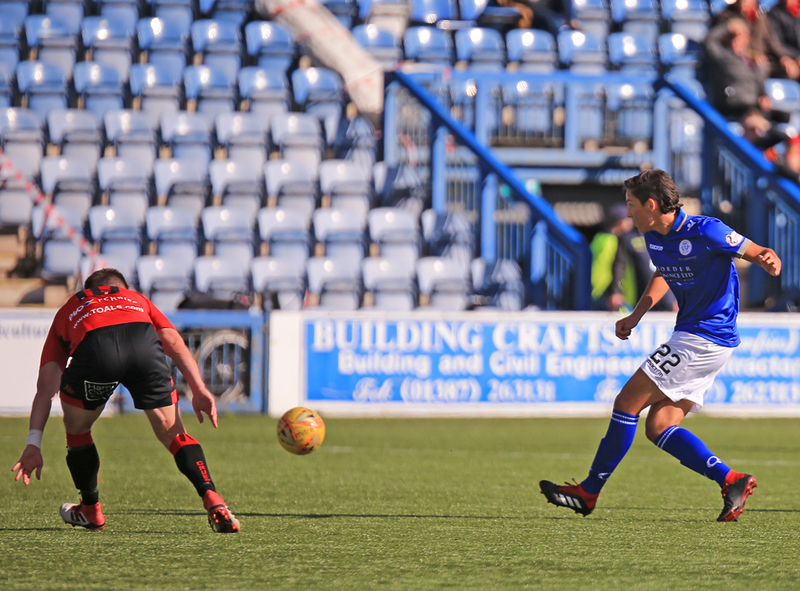 An exchange of passes between Dykes and Gary Harkins allowed Lyndon Dykes to get a shot away, and a big deflection on his strike wrong footed `keeper Doherty to put Queens in command. 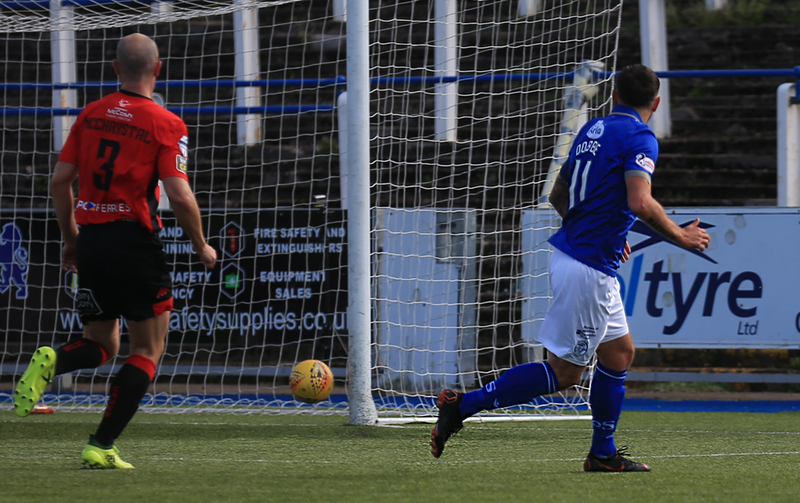 Just 4 minutes later it was three for Queens when a lung bursting 60-yard run by Andy Stirling down the right wing took him beyond the Crusaders defence, after which he had the awareness to pick out the run of Gary Harkins who arrived to smash home Stirling`s well placed cross. Unbelievably, Queens went further ahead just past the half an hour mark with what was the goal of the game. A delightful cross field pass from Harkins picked out the run of Jordan Marshall down the left, and although he was fouled, advantage was played and Marshall was able to slip the ball inside to Stephen Dobbie who swept home his second goal of the game, and his 20th of the season in all competitions so far. There were still more than 10 minutes of the half to play and with the confidence overflowing, Queens threatened to score with every attack, but a combination of wayward finishing, and miss-fortune saw the half finishing with no further addition to the score, and so for the second game running, Queens left the field to a standing ovation along with a 4-nil advantage. 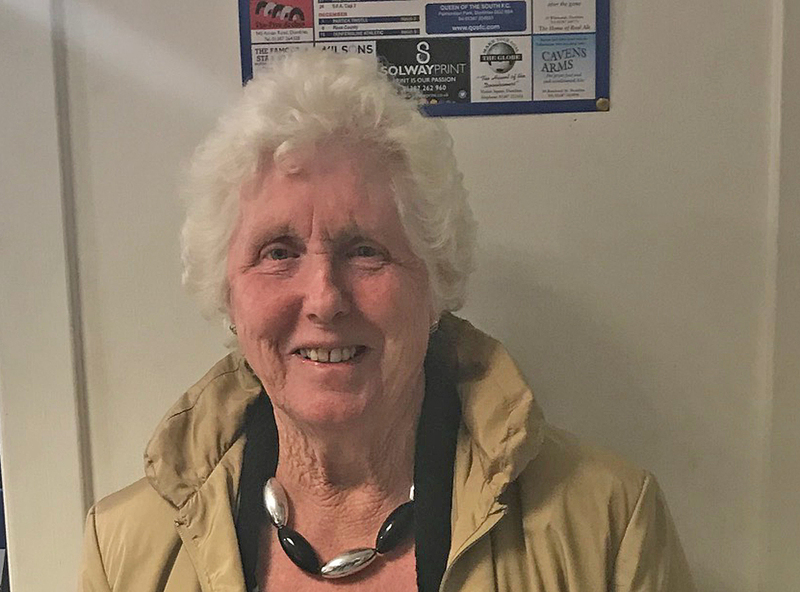 What ever was said in the respective dressing rooms at the interval had a huge bearing on the game, as Crusaders took control, and Queens began to look decidedly shaky. If there was to be anyway back for the visitors they would need to score early, and just two minutes into the half, that is exactly what they did. Queens conceded possession midway inside their own half. and when the ball was worked out to the left wing a low cross was turned in from close range by Patterson. The chances of an unlikely comeback were further increased when Crusaders were given a penalty for handball on// minutes and scorer of their first goal, Patterson, sent Alan Martin the wrong way with a well taken spot-kick. Queens looked very edgy and slowly started to defend deeper which encouraged the visitors to continue on the front foot and it took an excellent save from Martin to prevent a third Crusaders goal. After the initial boost that the two goals gave them started to dip slightly, Crusaders, although still knocking the ball around well were not really testing the Queens defence as much, and for a period, Queens regained control. During this spell a glorious opportunity for Queens to wrap the game up fell to Callum Semple when he met a free-kick from Harkins well enough, but in powering his header down wards the bounce of the ball took it over, and not under the bar. 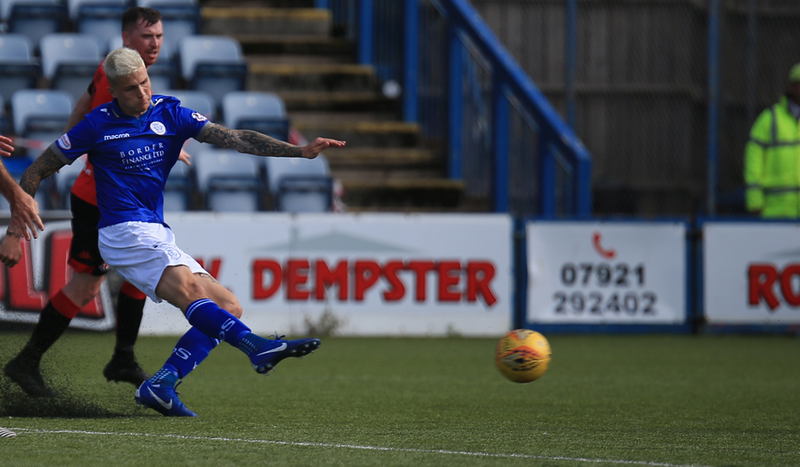 Queens replaced Dobbie with Adam Frizzell for the final 14 minutes, and then another new loan signing, David Norman saw his first action as a Queens player when he replaced Harkins with 6 minutes left. Incredibly after being in total control after 31 minutes, the scene was set for a very nervy last few minutes for the Queens faithful when on 85 minutes Crusaders reduced the arrears still further when an error from Scott Mercer let Heatley in and he produced a calm finish to make it 4-3. Street. Too be fair to him it was a difficult chance with many players blocking his sight of goal, but sometimes those shots just fly in, thankfully today, this one did not. 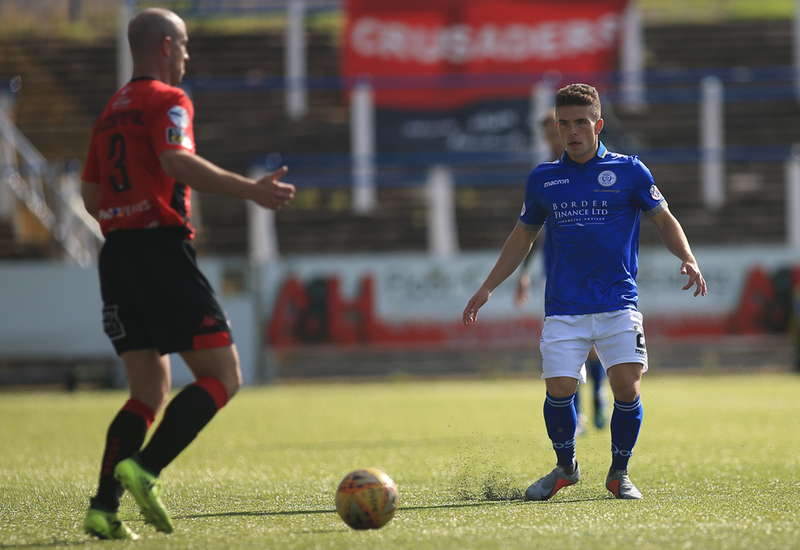 So a real `game of two halves` ended with Queens just about doing enough to make the next round, however you can`t help but think that if Crusaders showed just a little more adventurous play in the first half, the result may well have been different.